Whitewashing and similar poor casting is nothing new for television and movies, from race/ethnicity to those who are disabled. 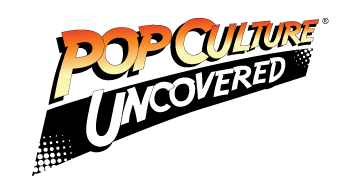 We’ve talked about examples repeatedly here at PCU, and it seems for every step forward there’s a step back. Scarlett Johansson didn’t learn from her mistake with Ghost in the Shell, and, only after significant backlash from the LGBT community, did she finally step down from a role based on real-life trans-male gangster Dante “Tex” Gill. In the meanwhile, the Deaf community is sick of hearing people portraying them and requiring Marlee Matlin to step in and ensure positive representation and genuine characters. This problem was brought to a head recently when Gotham decided to cast two white actors for PoC characters from the comics. 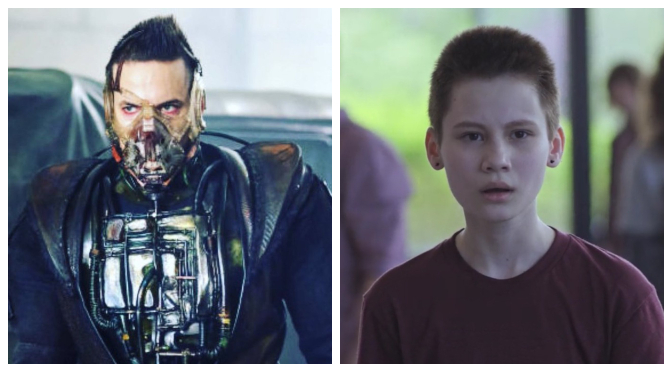 Those aware of Gotham’s decision to include Bane in its final season were also prepared when, as usual, they decided to whitewash the character. Shane West is white, with some Sephardic Jewish heritage from Portugal through his father, which is a far cry from the accepted heritage of the character. To be clear here, Bane is Latino, despite the long debate over his ethnicity and retcon with his father. You can read multiple reasons why it’s OK to assume his heritage, but it boils down to this: a character born in a Hispanic-Caribbean country, to a local rebel leader, who speaks fluent Spanish is 99% likely to be Hispanic, even without the luchador mask. The fact that Gotham gave him the first name “Eduardo” only emphasizes they intended this character to be of Latino-descent. West’s casting was annoying, given the only Latino people to represent this Latino character have been a few voice actors but was par for the course. What we weren’t prepared was for the “surprise” reveal about who Bane’s partner-in-crime was and who they cast. When Bane’s ally “Walker” turned out to be Nyssa al Ghul, daughter of Ra’s al Ghul, it was a significant twist in the show (and a plot stolen directly from the Nolanverse). The worst part, though, was their choice to cast Jaime Murray, a 100% white, English actor, in the role of a half-Middle Eastern woman. This whitewashing stung because Gotham had just been praised for their casting of Alexander Siddig in the role of Ra’s, becoming the first person of Middle Eastern heritage to portray the character in live-action. To have made such a momentous step toward representation only to turn around and do the exact opposite was not only hypocritical but made Ra’s casting felt like virtue signaling at its worst. Gotham – these are neither the cast we deserve nor need. Whenever you see whitewashing like this today, all too often the same defense comes out: “Maybe they couldn’t find an actor of that type.” It’s usually accompanied with the same colorblind fallacy about choosing talent over skin color, but let’s face it – if a role is written as a specific race, ethnicity, orientation, identity, disability, etc. then it should be played by someone of that demographic. Not to mention, the claim that “they can’t find anyone” is a load of garbage, given Netflix’s The OA managed to cast one of the most specific roles manageable. For those who haven’t seen the show, one of the characters is Buck Vu, a role written as a teenage transgender F to M Asian. Most people would think such specificity would be nearly impossible, and initially, the casting director agreed; when they asked if there was any flexibility on who to cast, the show’s creators vehemently said, “No” and demanded they find someone. Through extra effort and posting the role in LGBT social media and forums, the showrunners received numerous audition tapes. Eventually, they ended up casting Ian Alexander, a teenage transgender boy of Asian-descent, in his first role (and his performance is fantastic!). Season 2 of The OA just released and included two more characters that made me notice the excellent choices in casting. Kingsley Ben-Adir, an English actor of African descent, as Karim Washington was a smart choice. Karim’s character is a PI that used to work for the FBI undercover in Muslim-American communities, and Ben-Adir brings authenticity to the role. A smaller role, but no less significant, is Doctor Marlow Rhodes, a disabled scientist. The casting director chose Liz Carr, a comedian, and actor who has arthrogryposis multiplex congenita (AMC) and uses a wheelchair. If this television series can somehow find performers who match disabilities, heritage, and even specific gender identity, how is it that shows like Gotham or In the Dark can’t even find someone who’s Middle Eastern or blind? We need to face the fact that “X-washing” isn’t done because it’s “too hard to find someone” or “there’s a limited pool of talent”. It’s done out of sheer laziness; an active choice not to go the “extra distance” and use something as easy as the Internet to discover fresh talent among minorities. Yes, there’s a monetary aspect as well, as many producers want big names and known talent to bring audiences. That’s just as lazy too, however, given how much excellent talent exists if only given that single chance. There is never* an excuse for whitewashing or any other form of poor casting. There is always someone more suitable for that role than the usual cishet, white, able-bodied pool from which companies continuously draw. They just need to make some effort and give people a chance. In the end, it’s a win-win, as they not only discover great talent but also please an ever-diversifying, and more expectant, audience. (* = I will acknowledge, for now, one exception – when the role is beyond the capabilities of the individual in question. Daredevil is the most prominent example because casting a blind person in a role that has superpowers, allowing them to perform acrobatics and fight with martial arts, would be difficult.